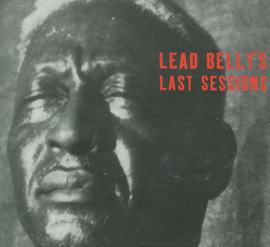 The CKUA Radio Network presents Smithsonian Folkways: Sounds to Grow On, a new 26-part series featuring the original recordings of the Folkways Collection, now a cornerstone of Smithsonian Folkways Records' vast catalogue. This series, hosted by Michael Asch, the only child of Folkways Records' founder Moses Asch, and researched by Robert Wiznura, is a co-production of The Smithsonian Women's Committee, Smithsonian Folkways Recordings, folkwaysAlive! at the University of Alberta, and the CKUA Radio Network. 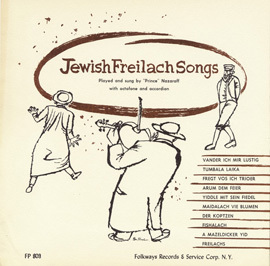 Smithsonian Folkways: Sounds to Grow On is about Moses "Moe" Asch, and, more specifically about Folkways Records, the company he founded in 1948, and its catalogue of staggering diversity and eclecticism. 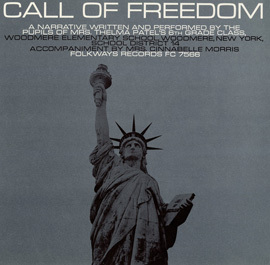 Upon Moe's death in 1986, the Folkways catalogue and related materials, comprising nearly 2,200 LP's, were turned over to the Smithsonian Institution in Washington, DC. 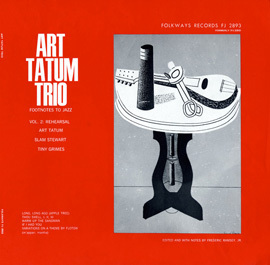 The label now operates as Smithsonian Folkways Records, which maintains the original catalogue, as well as produces and sells new recordings in the spirit of Folkways and Moe Asch. 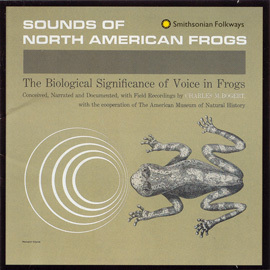 Smithsonian Folkways: Sounds to Grow On broadcasts throughout the CKUA radio network on the FM dial and live online stream. In addition, episodes are available on this site anywhere/anytime via the podcast. Program host Michael Asch is the only child of Moses and Frances Asch and was a professor of Anthropology at the University of Alberta in Edmonton until retirement. However, as he says in this first program "The show is not about me. 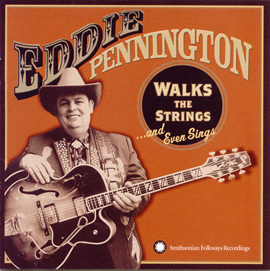 It is about my father, and more specifically about the record company my father founded and ran for 38 years." This episode is dedicated to music that has a special place for Michael Asch. It includes some of his favourites and some of his father's favourites. Some songs are from Moe's childhood and some are from Michael's early adulthood when he worked for Folkways. In program three the focus is on the blues, but from a particular personal angle. Listeners from Chicago may well recognize the title "The Midnight Special," as the radio show broadcast on WFMT since 1953 and now broadcast online. Michael thought to honor that program by recreating what he heard when moved to Chicago to attend university in the fall of 1961. A remarkable thing about Folkways is the number of significant movements in the 20th century with which it was in tune. One such movement is the African-American poetry scene, starting with the Harlem Renaissance that began in the 1920s. The Harlem Renaissance is a rather loose term that identifies a flourishing of poetry and prose to emerge from Harlem. The poetry ranges greatly stylistically. But what unites all these poets, including Langston Hughes and Claude McKay, is that they focus in some way on the experience of the African-American in the U.S. In this hour Michael traces the history of a folksong, probably most familiar to you as "The Streets of Laredo" but also reflected in the song "St James Infirmary." 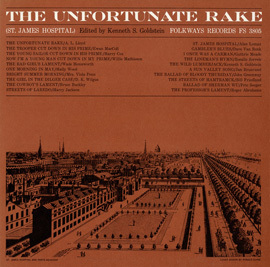 In 1960, Folkways released an album put together by folklorist Kenneth Goldstein called The Unfortunate Rake: A Study in the Evolution of a Ballad. 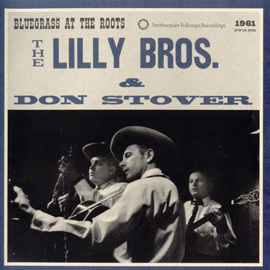 This hour features bluegrass music on Folkways Records. 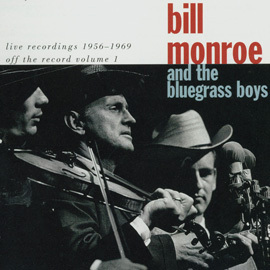 Bluegrass is a style developed mostly in Appalachia that combines the music of Scots-Irish, African-American, jazz and blues. Michael presents a personal journey, choosing from those performances he considers 'classic.' Performers include Bill Monroe, Hazel Dickens and Alice Gerrard, Roger Sprung, The Country Gentlemen, The Lily Brothers, Eric Weisberg, Ralph Rinzler and Mike Seeger. Smithsonian Folkways: Sounds to Grow On is a 26-part series hosted by Michael Asch that features the original recordings of Folkways Records. In this show we jump into the world of animal sounds and songs about animals. Of course there are many songs about animals. But Michael's father Moe Asch also released a number of recordings of animal sounds, some straightforward recordings and others, well, you'll hear throughout the hour. Michael will pair a song about an animal with the sounds of the animal, all from the wide ranging Folkways Records catalogue. 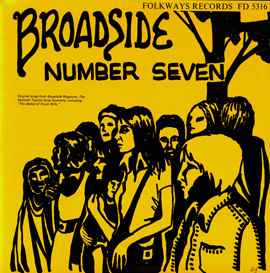 This episode of Smithsonian Folkways: Sounds to Grow On focuses on topical songs, mostly from a small-distribution, widely influential magazine from the 1960s and 70s and 80s called Broadside Magazine. In 1962, the first issue cost 35 cents and consisted of a meager 300 copies. But it included songs from such masters as Malvina Reynolds, Bob Dylan and Phil Ochs. 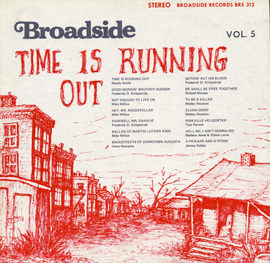 Broadside brought many topical singer songwriters to the public's attention, including, in addition to Reynolds, Ochs and Dylan; Tom Paxton, Richard Farina, Janis Ian and Buffy St. Marie, to name just a few. 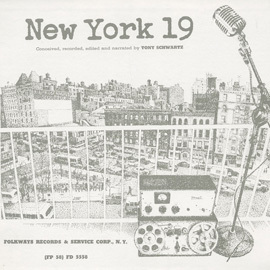 Smithsonian Folkways: Sounds to Grow On is a 26-part series hosted by Michael Asch that features the original recordings of Folkways Records. The theme of this show is about Smithsonian Folkways material inspired by dogs, so Michael Asch has called the show "Going to the Dogs." The idea for the show came from Rob Wiznura, researcher on this radio series, and a guy who likes dogs, and puns about them. Michael is less committed, more of a cat man. 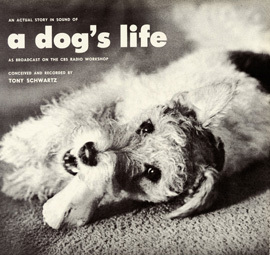 Hear songs, sounds and documentary segments, all on the canine theme. This show is built around the song "The Ink is Black" or "Black and White" by David Arkin, Alan Arkin’s father and Earl Robinson, who for a time was the music teacher at Michael’s school in New York City. Written on the occasion of the 1954 de-segregation decision by the Supreme Court of the United States, it epitomizes the sensibility that segregation is inherently evil. It was kind of a gloomy day around Michael Asch’s home when his researcher Rob Wiznura sent him an idea for a show that presented the days of the week in song. It was a blue day, so he thought Blue Monday, because it goes through the days of the week and returns to Monday, as did his idea. But Folkways didn’t record Blue Monday. But then it came to me, even better than Blue Monday was Stormy Monday as it captured the weather and also went through the days of the week. And so it was that an idea for a Folkways radio show was born. This show is called "talking about and singing the blues." 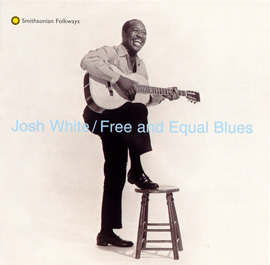 The idea comes from the Folkways album "This is the Blues." 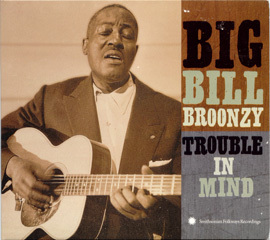 It features Big Bill Broonzy, Sonny Terry, and Brownie McGhee. 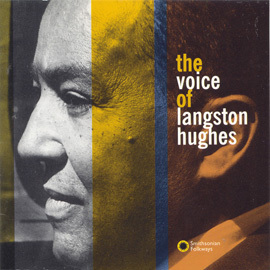 The album was built around a radio show produced by the great Studs Turkel of Chicago’s WFMT and was recorded on May 7th, 1957. Smithsonian Folkways: Sounds to Grow On is a 26-part series hosted by Michael Asch that features the original recordings of Folkways Records. This show will mine the Folkways catalogue for songs about clocks and time, at least Western conceptions of time. We start with a little bluegrass reflection on clocks and then move onto all sorts of songs with references to time or time keeping. A timely program. 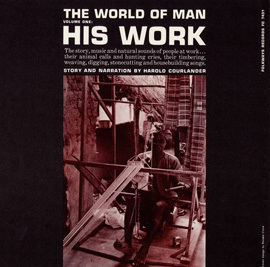 Harold Courlander is an important figure in the history of Folkways. I think of Courlander as the early guiding spirit for what he and my father called the Ethnic series, which is the vast catalogue of what we now call world music. This time, I thought we’d feature an album Courlander put together in 1956 that documents the sensibilities he brought to this work in the immediate post-War period. This time, I thought we’d wander about the collection listening to a teeny bit of the Jazz that my father recorded. 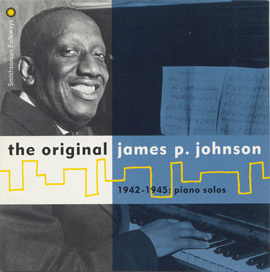 Given everything he did, it is easy to forget his keen interest in jazz and of his important recordings, such as for Jazz at the Philharmonic series. But rather than get caught up in the history of Jazz or the role that my father played or make an attempt at being exhaustive with the jazz recordings, I thought we would make things simple and just goose around the collection a bit. I am originally from New York City, though Canada has been my home since 1969. But that wasn’t my first time in Canada. In 1963, through a quirk, I got a ride to Toronto and attended the Mariposa folk festival. I fell in love with Canada on that trip. At that time I had no idea that Folkways had the largest collection of Canadian music available in the world. 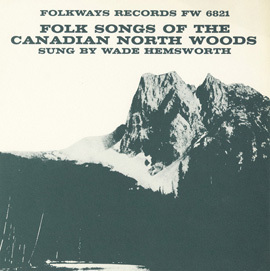 I don’t think it is still true, but there are well over a hundred Folkways records that feature Canada and Canadians. In this show we explore them. 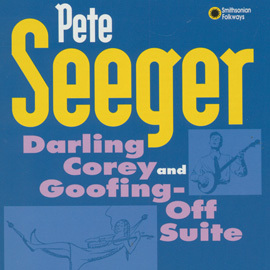 In this program we explore the various musical sides of Pete Seeger. We will begin with Pete at Carnegie Hall getting everyone to sing together. It reminds me of those Christmas concerts of my youth, singing at the top of my voice, trying to keep sweet and on pitch. That was Pete as he is best known, leading us, helping us to understand that when we stand together we can be a powerful and harmonious collectivity. In this program, we focus on children’s music. My father, Moe Asch, produced a huge collection of children’s recordings, but, as I hope you’ll hear, they were unique in many ways. We’ll play music from around the world, music for and from children at play, at school and even some in the workplace. What is a rainbow? Why are we so fascinated by them? Why do we associate things to them: hope, beginnings, security, riches, and so on? 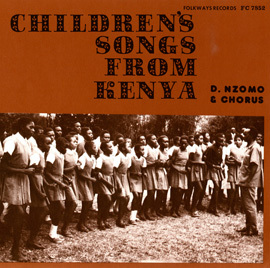 Rainbows have been a constant in western culture and song. This program asks "what means a rainbow?" 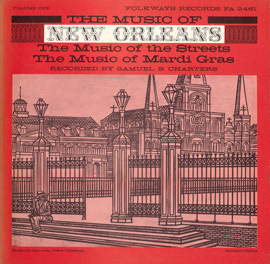 On this show I feature piano recordings on Folkways Records. 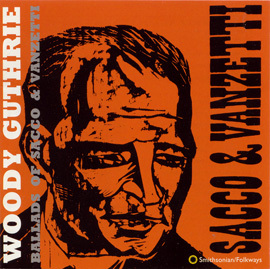 Piano is my favourite instrument, and there is no doubt that my father’s three record companies, Asch, Disc and then Folkways, recorded some of the very best jazz and blues pianists of the 1930s, 40s, and 50s. Smithsonian Folkways: Sounds to Grow On is a 26-part series hosted by Michael Asch that features the original recordings of Folkways Records. In this program, the theme is simple: love. Love songs, courting songs, fertility songs, bridal and wedding songs. Start in North Africa with the Berbers who live in Algeria and move around the world, geographically and emotionally. ** Discretion Advised: This podcast includes language some listeners may find objectionable. 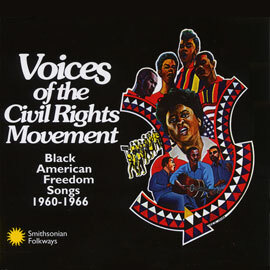 The program host and Smithsonian Folkways chose not to exclude it in order to preserve the historical context of the recording.